About two years ago, my cousin quit his job at a poultry farm to start his own. He was successful with his first batch and lost almost all his second batch chickens. The third batch was okay but it coincided with when recession just started hitting. He ended up selling that batch for cheap. As a business, raising chickens involve much more than when it’s for personal consumption. Chickens have peculiar needs which must be met. Failure to meet these needs might lead to serious losses. When researching this topic, one important thing I learnt was: this business IS NOT a get rich scheme. You will need the right knowledge to succeed in it. 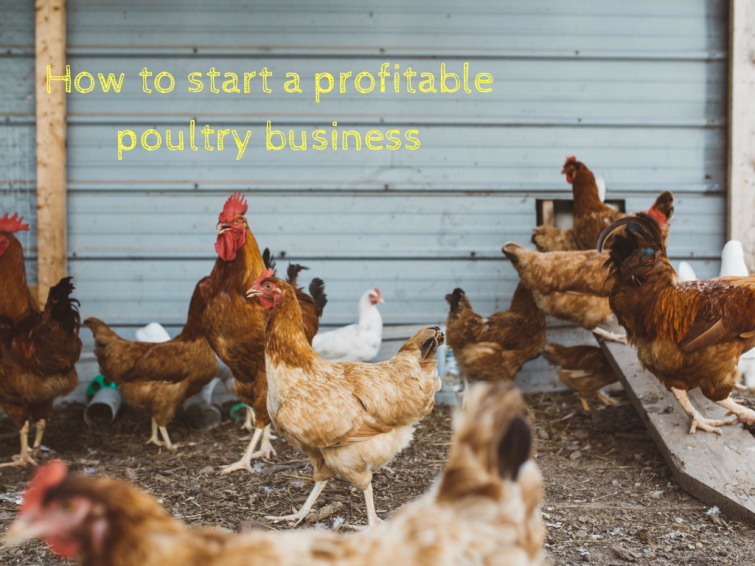 In this post, I’ll be sharing how to raise chickens for meat. Especially against festive seasons. I tried as much as possible to cover the basics that can get you on your way. What kind of chickens should I raise? Broilers are mainly raised for meat while layers are for eggs. Of course, layers can also be sold for meat. However, under these broad categories are numerous breeds of chickens. Cockerels are also raised for meat. Since we are dealing with meat production, our focus is broilers and cockerels. On average, broilers take 8-9 weeks to reach market size. Cockerels, on the other hand, take much longer. Sometimes up to 6 months. There are arguments on which of the two is more profitable and easier to train. Some believe broilers have a higher mortality rate. Others say broilers have a higher turnover since they take lesser time to mature. For our yield calculation (down below), we worked with broilers. You’ll sure need some money to raise chickens. There’s no denying that. You buy the chickens, house, treat and feed them with money. For more, see this checklist. This is excluding the chickens, land and labour. For starters, I’d recommend saving cost on land and labour. If you’re lucky to have land (especially in rural areas), use it. My cousin used a part of the land on which the township home rests. Some residential areas might be against poultry farming so confirm before setting out. There are three main classifications of poultry management systems. They are: extensive, semi-intensive, and intensive. Deep litter is a popular intensive system in Nigeria. The chickens are kept in a pen whose concrete floor is covered with sawdust or wood shavings. The sawdust is changed frequently to keep the place clean and curtail disease breakout. An important factor to note is that the chicken house must be well ventilated and spacious. It should be made in a way ventilation and air movement is easily controlled. On space, this article recommends each chicken to at least 2 square feet of space. Safety from thieves, pets, predators. My cousin estimates he spent ₦120,000 on his chicken house. He did most of the manual labour except roofing and minor carpentry work. It’s a 500-bird capacity house.. He estimates a higher building cost when one factors in manual labour and fluctuating cost of material. It is important to note that good hygiene and a well-ventilated pen go a long way in keeping the chickens safe. Do not sacrifice these to save cost as it will come back to bite. Ask around for hatcheries where you can buy day-old chicks (DOC). Day old chicks currently go for ₦120-₦250 each and are cheaper if you’re buying above 500. Furthermore, the price decreases as festive seasons approaches. This can serve as a good time to buy against the future. Take good time to buy chicks from farms with good records. Initially the chicks will need constant checks. This is when they are most vulnerable. During their stay, you’ll need to keep an eye on their temperature; protect them from pets, predators and over handling. Always keep their water and feeds clean. A weekly routine will involve changing the sawdust. This might be done twice in a week depending on how dirty it is. Other weekly activity will be thorough cleaning of the coop. Bi-weekly or monthly routines will involve stocking up on supplies. I stumbled on this free spreadsheet on the internet. It’s a great way to track your daily, weekly and monthly routines. 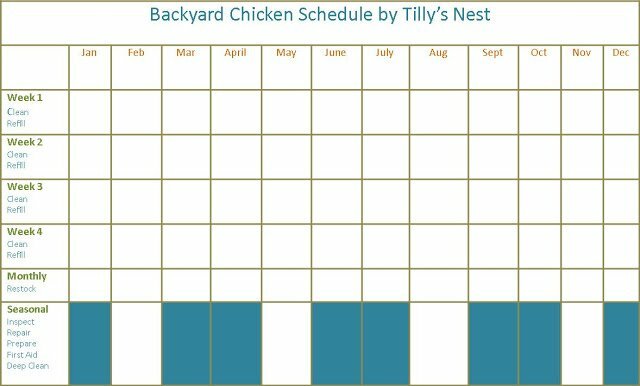 Also, see this valuable resource on how to manage chickens from day one. Chickens eat, A LOT. They will not grow to size if not well fed. This in turns affects selling price and profits. You can buy commercial chicken feeds or produce yourself. For a smaller setup, you may use commercial fields before learning how to self-produce. Self-milled feeds require sound knowledge of the right formula. Some farmers make their own feeds to save cost and to give their birds quality feeds. Formulas abound on the internet, though it’s hard to say which is best unless tried. Here’s an example of one of such formulas. Commercial feeds are getting expensive and there are reports of substandard feeds in the market. A bag currently goes for about ₦3,500-₦3,800. One mistake farmers make is that they do not market their birds early enough. They wait until the birds are almost market ready before marketing. As soon as you get the chickens, start sharing the good news to points-of-sales especially markets. Another sales avenue is selling to restaurants, hotels and cold rooms. This will involve dressing them and selling them part by part. Miscellaneous (waterers, feeders etc) = ₦50,000. This is to cover any contingencies. Subsequent batches will not have building costs. Note that these figures are estimates. I tried my best to make them as close to reality as possible. From the above, it is easy to see why poultry farming is a profitable business. If we remove building costs, our profit above would’ve been just above ₦300,000. Carrying more birds also imply a higher profit margin. Like my cousin said, the prayer in this business is to have less casualties and chickens at market size. The rest is in the sales. When these are covered, profit is inevitable. The essence of this write up is to give you a basic lay down of how this business works. To engage in this business, I’ll recommend more reading on the subject. Much better if you can start with a few birds to get practical experience before launching out. Wish you success in your chicken farming journeys! Is there a typo you’d really want to point out? Are my calculations inaccurate or you have a chicken farming experience to share? Kindly drop a comment below. To make a lot of profit in your Poultry farming business, you need to cut the cost of feeding your birds and birds grown at high densities requires a nutritionally complete feed to produce good growth and maintain good health. I’m a local manufacturer and distributor of high quality Poultry/catfish Feed in Nigeria. I sell at an affordable rate of N2,000 per 25kg bag, I have starter, Grower, Finisher and Layer Mash available. I distribute to all parts of the country to Sub-distributors, Wholesalers, Retailers and End-users. OLABEL FARM NIGERIA LIMITED IS GIVING OUT DISCOUNT TO ALL OUR FARMER ALL OVER THE WORLD We have big size egg, medium size and small size. Big size (jumbo size) NGN25 per one, discount price if you buy 50 crate and above we will sale for you NGN20 per one. price per crate NGN900 discount price NGN720. Medium size NGN20 per one discount price NGN15 per one. price per crate NGN720 discount price NGN540. Small Size NGN15 per one discount NGN10. price per crate NGN540 discount price NGN360. We have Many other items and product for sale at cheap price. FEEDS FOR SALE AT DISCOUNT PRICE FREE SHIPPING. (3) GOATS, RABBITS, PIGS, DUCKS, COCOA, CASSAVA, PLANTAIN, GRASS-CUTER, BIRDS EXCRETES FOR FERTILIZER. CONTACT THE SUPERVISOR ON 08139691517. PMB 40032, Falomo Ikoyi, Lagos, Nigeria. We have different kind of feed. BUY YOUR FRESH,CLEAN,GOOD SIZE OF EGGS,FEED AND BIRDS DIRECTLY FROM CHOICE POULTRY FARMS NIG. LTD. A.K.A ( POUTRY PLAZA). ON:09035505226! Feeds for Variety of Birds and many more…..
QUALITY GUARANTEED. You will not be disappointed, that’s what I can guaranteed. No text please and don’t call for silly offer. FOR BOOKING AND INQUIRES CONTACT US VIA WHAT-APP AND CALL 0N 09032692465. WE ALSO HAVE CAT FISH FEEDS. EGGS, BIG SIZE IS #750 with plastic crate but with carton crate is #700. MEDIUM SIZE IS #600 with plastic crate but with carton crate is #550. SMALL SIZE IS #400 with plastic crate but with carton crate is #350. Address: 127, Isolo Road, Palm Avenue Bus-stop, Opposite UBA, Mushin, Lagos Nigeria. QUALITY GUARANTEED. You will not be disappointed, that’s what we can guaranteed. No text please and don’t call for silly offer. Local/Foreign Breed Turkey and other on regular basis. EGGS, BIG SIZE IS #700 with plastic crate with carton crate is #650. MEDIUM SIZE IS #600 with plastic crate with carton crate is #550. SMALL SIZE IS #500 with plastic crate with carton crate is #450. —-850 per bag = EGGS, BIG SIZE IS #700 with plastic crate but with carton crate is #650. = MEDIUM SIZE IS #600 with plastic crate but with carton crate is #550. = SMALL SIZE IS #400 with plastic crate but with carton crate is #350. = PIG FOREIGN AND LOCAL. PREGNANT ONES ARE ALSO AVAILABLE. (2,000 and above) = GOATS, RAMS, SHEEP’S (4,000 and above) CORN(MAIZE), =RABBITS #1,500 = DAY OLD BOILERS #120 = DAY OLD LAYER #180 = WHITE/BLACK COCKEREL #50 EACH DOC. = PARENT STOCK LAYERS #1,550, = PARENT STOCK PULLET #800, = PARENT STOCK BROILERS #1,250, = 8 WEEKS COCKEREL #300, = 4 WEEKS BROILERS #450, = 10 WEEKS BROILERS #1,200, = DAY OLD LOCAL TURKEY #450 = DAY OLD FOREIGN TURKEY #850. = CAT FISH TABLE SIZE #1,200 = FINGERLINGS #10 = JUVENILES #30 = POST JUVENILES #50 WE SELL CAT FISH FEEDS (#2,000 And Above) AND BIRDS FEEDS (#1,800 And Above) Both Local & Foreign Feeds. = ALL KIND OF CAGES ARE ALSO AVAILABLE, RANGES FROM #12,000 TO #1.8M LOCAL AND FOREIGN CAGES. WE DELIVER NATIONWIDE. CONTACT:+2348147472008 FOR URGENT PURCHASE THANKS FOR PATRONAGE AND CO-OPERATION. IMPORTANT NOTICE TO ALL FARMERS ON-LINE ON EASY FARMING FROM A REGISTERED FARM. FLORIDA-OLUTOLA-FARM!!! RC-216348 EGGS!!! JUMBO SIZE #650, MEDIUM SIZE #550 SMALL SIZE #450 GRASSCUTTER PER COLONY 4 MONTH OLD #25,000 6MONTH OLD #28,500 PREGNANT ONCE #38,500 POINT OF BIRTH #50,000. WE PRODUCE LOCAL CATFISH FEEDS AND AM ALSO A DISTRIBUTOR OF HIGH QUALITY POULTRY FEED IN NIGERIA. I SELL AT A AFFORDABLE RATE OF #2,500 PER 25KG BAGS AND #4,800 PER 50KG BAGS WE HAVE STATERS,GROWERS,FINISHER AND LAYERS MASH AVAILABLE. I DISTRIBUTES TO ALL PARTS OF NIGERIA EVEN TO SUB DISTRIBUTORS,WHOLESALERS,RETAILERS AND TO ENDS USERS. A DAY OLD BROILERS #150 A DAY OLD PULLET #220 A DAY OLD HYBRID TURKEY #450 A DAY OLD FOREIGN TURKEY #1000 6 WEEKS OLD TURKEY #1000 8 WEEKS OLD TURKEY #1200 WHITE COCKEREL #20 BLACK COCKEREL #60 FULL GROWN LAYER #400 POINT OF LAY TURKEY #2000 (9MONTHS) POINT OF LAY PULLETS #800 (16 WEEKS) PARENTS STOCKS #750 (BROILERS) PARENTS STOCKS #750 (PULLETS) 10 WEEKS BROILERS #900 FROZEN CHICKEN #4500(CARTON) FROZEN TURKEY #7000(CARTON). For your farms produce and livestock, poultry, fishery, farm chemicals, farms tools, vegetable, Cash crop, seedlings, fertilizers, lectures on any aspect of farm practice you like to more about and many more. EMAIL US ON LIVESTOCKFARMLTD@GMAIL.COM WHATSAPP OR CALL ON 08144115422. WEBSITE: http://WWW.FLORIDAFARMLTD.COM THANKS FOR YOUR PATRONAGE. Easy ways to invest in grass-cutters farm/poultry farming business, you need to cut the cost of feeding your birds and birds grown at high densities requires a nutritionally complete feed to produce good growth and maintain good health. I’m a local manufacturer and distributor of high quality Poultry Feed in Nigeria. Starter, Grower, Finisher and Layer Mash available. I distribute to all parts of the country to Sub-distributors, Wholesalers, Retailers and End-users. Feel free to call/whatsapp us on 08140426565. Our address is: No.12 Canaan land road illaro, Ogun State, Nigeria. We offer free nationwide delivery. Updated Price List For Our Birds A day old broiler = N150 A day old pullet = N220 A day old hybrid turkey = N450 A day old foreign turkey = N1000 6 weeks old turkey = N1000 8 weeks old turkey = N1200 A day old white cockrel = N25 A day old black cockrel = N500 point of lay turkeys = N2000 (7 months) point of lay pullets = N800 (16 weeks) I own a big Poultry farm myself so my feed is properly prepared with good and well balance chicken feed formulation. We supply Nationwide to your farm or doorstep at an affordable price of NGN 2,500 per 25kg bag.‎ The ingredients required to manufacture high quality feed are readily available here in Nigeria hence my feed has a high quality energy source required for growth and maintenance of body tissue resulting in improved weight gains because it is fortified with balanced vitamins, minerals and amino acids plus Stabilized Vitamin C required for better metabolism, skeletal formation, nerves, body fluid regulation and enzymes to yield maximum productivity. CONTACT US ON ; call/whatsapp 08140426565. Our address is: No.12 Canaan land road illaro, Ogun State, Nigeria. We offer free nationwide delivery. NUHU FARM HOLDINGS CAC REG NO. 216348AN. CALL US ON 08144115422 FOR BOOKING AND INQUIRIES. We deal on livestock and poultry and fishery with their feeds. Point of birth is #60,000. Hybrid feeds #5,000 and above. Animal care #5,000 and above. Address Idoko aledo ijebu mushin ijebu east ogun state Nigeria. WE DEAL ON LIVESTOCK, POULTRY AND FISHERY, WE ALSO SELL DIFFERENT TYPED OF FEEDS AT A CHEAPER RATE WE GIVE DISCOUNT TO THOSE THAT BUY FROM 50 AND ABOVE. BREEDWELL FEEDS COST #2,500 PER 25KG best feeds for your birds and fish’s. Types of birds and price. OBJ and CHI FARMS AND MANY MORE. 3. Pay to our Account. No 123 idoko aledo ijebu mushin ijebu east Ogun state.